"Every little girl goes through her princess phase, whether she wants to be Snow White or Cinderella, Belle or Ariel. But then we grow up. And life is not a fairy tale. Cruelties come not just from wicked stepmothers, but also from ourselves. There are expectations, pressures, judgment, and criticism. Self-doubt and self-confidence. But there are also friends, and sisters, and a whole hell of a lot of power there for the taking. In fifty poems, Christine Heppermann confronts society head on. Using fairy tale characters and tropes, Poisoned Apples explores how girls are taught to think about themselves, their bodies, and their friends. The poems range from contemporary retellings to first-person accounts set within the original tales, and from deadly funny to deadly serious. Complemented throughout with black-and-white photographs from up-and-coming artists, this is a stunning and sophisticated book to be treasured, shared, and paged through again and again." First line: (From "The Never-Ending Story") "Once there was a girl who wore her bones outside her body." Thoughts: Ahh poetry, my old friend. We meet again. 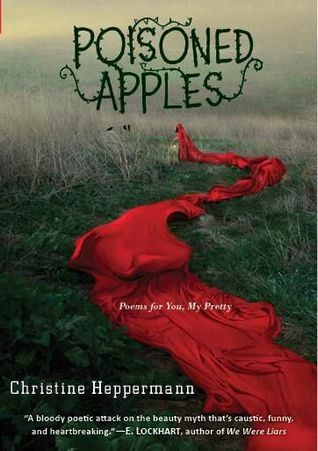 POISONED APPLES is a collection of poetry that circulates around real issues young people (and even adults) face today. A few examples include anorexia, vanity, feminism, etc. What makes this particular novel special? There's a hint of fairy tale lore and a whole lot of dark, sometimes gruesome elements and writing in it. Though I enjoyed most of the poems in this novel, there were some that I thought to be either okay or didn't find very moving. Random even. The one I found the most relatable and interesting was Sleeping Beauty's Wedding Day. It's spot on. Weddings are very much a joyous occasion, but the preparation process can become somber, and I felt like this poem (and the photo that went with it) captured this. Speaking of the photos, I have to say that my favorite part of this collection were the photos. They had this American Horror Story element to them, which also created a bit of a morbid yet fascinating atmosphere. It was perfect for this sort of collection and also reminded me of Ransom Riggs' MISS PEREGRINE'S HOME FOR PECULIAR CHILDREN. With that said, I must admit that I did find the photographs more interesting than the poems. That's not to say I didn't like the poems, however, I just felt as though the pictures overshadowed the actual writing. It felt like the author used the photos for inspiration, and I thought it should've been the other way around. Overall, I didn't love this collection, but I did like it. While it's not something I would immediately run out and buy, especially considering the book itself is very thin and kind of pricey for what it is, it is something I would consider buying at a discounted price or possibly borrow. 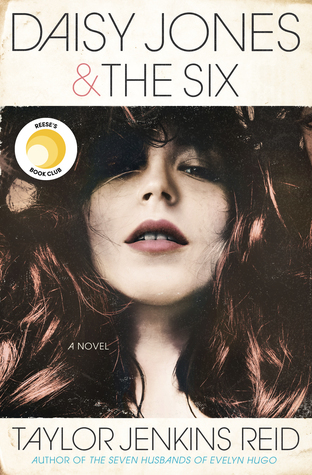 I'd probably recommend waiting for the paperback to come out or maybe seeing if your local library carries it. Aww, I'm sorry this one didn't resonate for you the way it did for me. But I agree - the pics are deliciously creepy. The idea behind Poisoned Apples is what intrigues me the most! I never got around to buying or reading it yet, but I think perhaps I will at some point - just to satisfy my curiosity. I know what you mean about this one. I am not one for poetry and i enjoyed this one okay enough but I just think I expected a bit more. Oh no, pictures and poetry?! I don't think is the book for me either. Great review!! The pictures sound pretty amazing, but I don't think I can "do" the whole poetry thing. I would kind of like to see the pictures though, I will have to look for it at the library. Great review!